The vegetable oil production involves the extraction and processing of oil and fats from vegetable source. Vegetable oils and fats are principally used for human consumption but are also used in animal feed, for medicinal purposes, and for certain technical application. The vegetable oils production is extracted from a variety of fruits, seeds and nuts. 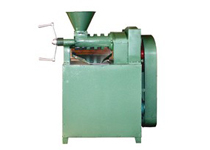 The preparation of raw materials includes husking, cleaning, crushing and conditioning. 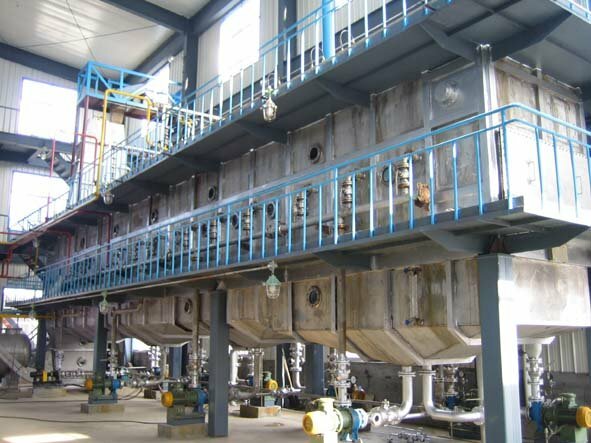 The extraction processes are generally mechanical which includes the boiling and the pressing for the seeds or involve the use of solvent such as hexane. 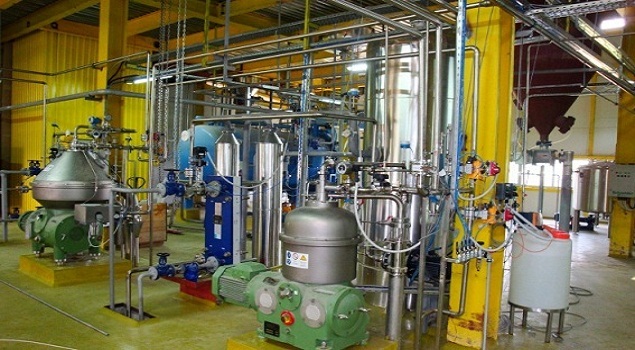 After boiling, the oil is skimmed; after pressing, the oil is filtered; and after solvent extraction, the crude oil is separated and the solvent is evaporated and recovered. Residues are conditioned and reprocessed to yield by-products such as animal feed. Crude oil refining includes degumming, neutralization, bleaching, deodorization, and further refining. 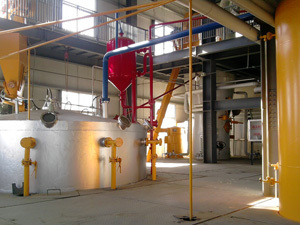 The solvent extraction of vegetable oil production consists of "washing" the oil from the soybean flakes with hexane solvent in a countercurrent extractor. Then the solvent is evaporated from both the solvent/oil mixture and the solvent-laden, defatted flakes. The oil is desolventized by exposing the solvent/oil mixture to steam (contact and noncontact). Then the solvent is condensed, separated from the steam condensate, and reused. Residual hexane not condensed is removed with mineral oil scrubbers. The desolventized oil, called "crude" soybean oil, is stored for further processing or loadout. The flakes leaving the extractor contain up to 35 to 40 percent solvent and must be desolventized before use. Flakes are desolventized in one of two ways: either "conventional" desolventizing or specialty or "flash" desolventizing. The method used depends upon the end use of the flakes. Flakes that are flash desolventized are typically used for human foods, while conventionally desolventized flakes are used primarily in animal feeds. Crude vegetable oil is typically for refining to establishments engaged in the vegetable oil production, shortening, and margarine. Crude vegetable oils contain small amounts of naturally occurring materials such as proteinaceous material, free fatty acids, and phosphatides. Phosphatides are removed for lecithin recovery or to prepare the crude oil for export. The most common method of refining oil is by reacting it with an alkali solution which neutralizes the free fatty acids and reacts with the phosphatides. These reacted products and the proteinaceous materials are then removed by centrifuge. Following alkali refining, the oil is washed with water to remove residual soap, caused by saponification of small amounts of the triglycerides (oil). Color-producing substances within an oil. 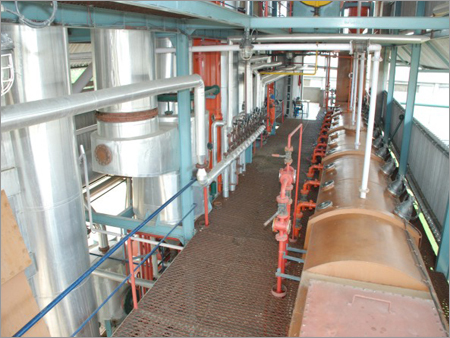 Contact us to get support in our vegetable oil production line and get a discount today.